On April 16, 1971 Betty Jo Neils, vice chair of the Washington State Republican Party and advisor to the Washington Federation of Republican Women, invited twelve friends to meet. These twelve women founded the Lakewood Republican Women. Today our membership has grown to become one of the largest clubs in the Washington Federation of Republican Women. 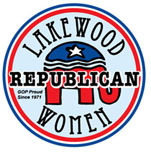 Lakewood Republican Women membership in 2014 had over 130 members. Nationally, we are over 65,000 strong! To recruit, organize, motivate and educate members to participate in the Republican party at all levels and elect Republicans. *To promote an informed public, through political education activity. *Increase the effectiveness of women in the cause of good government through political participation. *Support objectives and policies of the Republican party. *Work for the election of Republican candidates. *Recruit and promote qualified women candidates for effective office.